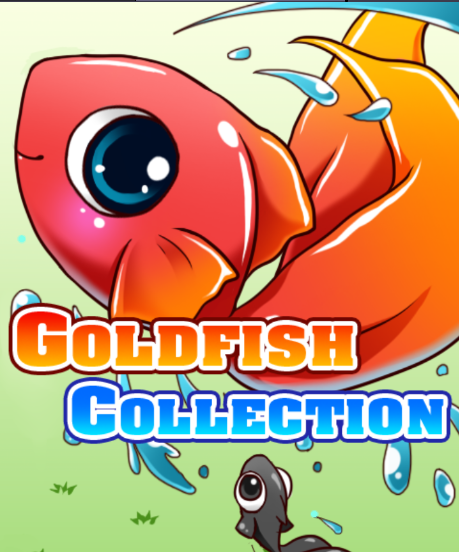 Goldfish Collection is a free to play app published by Cross Field Inc. 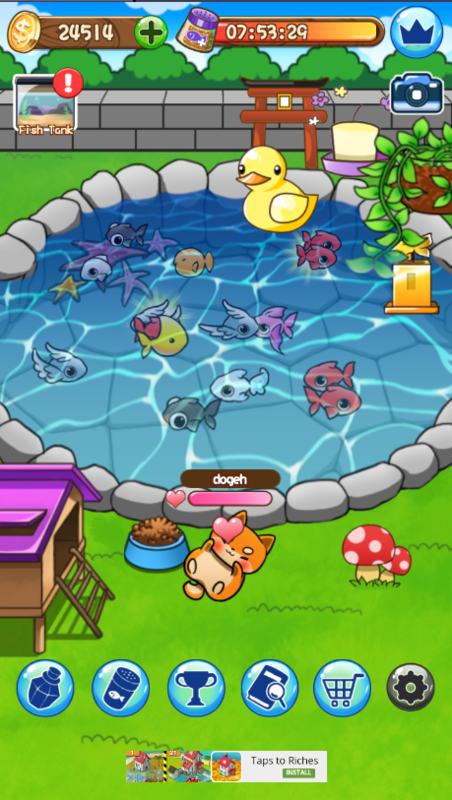 It is a casual game app whereby the user collects goldfish with their inherited goldfish aquafarm. The user is given a goldfish aquafarm to raise goldfish to sell on the market during the festival. The game features tons of unique goldfish variations that you can raise in your aquafarm. 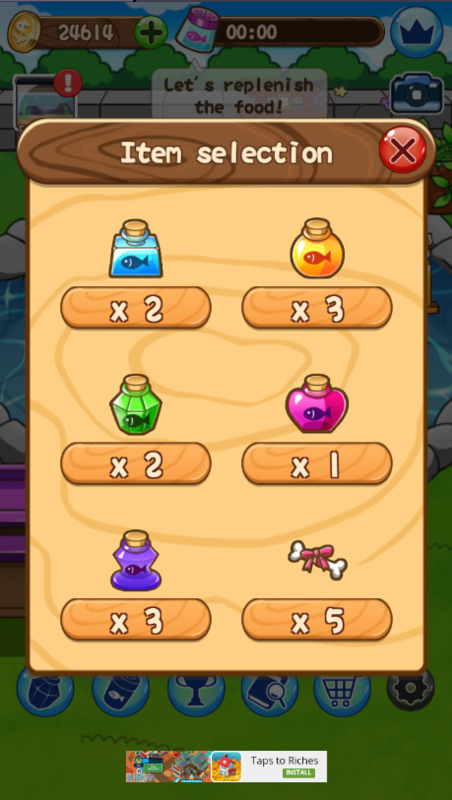 Making use of a better water purifier (can be purchased for in-game currency in the shop) will increase the chances of raising new, unique goldfish. At any time you can access your picture book to check your goldfish collection and how many goldfish you will still need to catch. You make the goldfish grow by giving food to the eggs. Eggs can always be added for free. 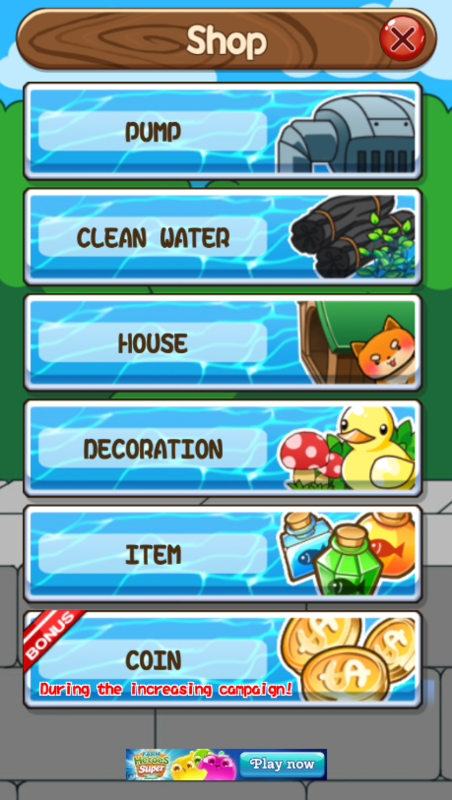 There is a food item that is available for free that you will need to replenish every hour. There is also food that you can buy with you in-game currency. These foods have different properties. When your goldfish have grown up, you can scoop them out of the pond. You will notice some goldfish are glowing; those are the ones that you will want to sell at the festival. Do not neglect your aquafarm – your goldfish may get eaten by stray cats! Good thing you have a dog (Shiba Inu) to guard your fish. Be sure to feed your dog and pet it regularly. Also, giving it a better dog house will work to your advantage as well. Goldfish Collection is a great game, but it could use some improvements. I think the dog eats its food way too quickly (the bowl is empty within a minute or two at times) – although it stay protects the fish when ‘satisfaction meter’ has run out, as long as it has food – so you could use the bone (‘Dog Gum’) to keep the guard dog’s love-meter at MAX for 3 days.